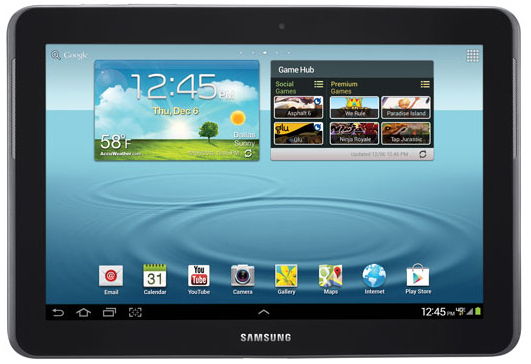 This morning, Verizon and Samsung announced that the Galaxy Tab 2 (10.1) with 4G LTE was available starting today for $499. The device packs a 1.0GHz dual-core processor, 10.1″ HD display, 1GB RAM, 8GB internal storage, 7000mAh battery, dual cameras, and 4G LTE. It’s mid-range, if there is such a thing in the tablet world. If you are interested in picking one up, understand that $499 is the full retail price, meaning you don’t have to sign a contract to buy one. Verizon eliminated tablet contracts when Share Everything plans went live. Now, you buy a tablet that has 4G LTE capabilities and simply attach it to your shared data plan for $10 per month.